It’s a part of life that very few people manage to avoid. 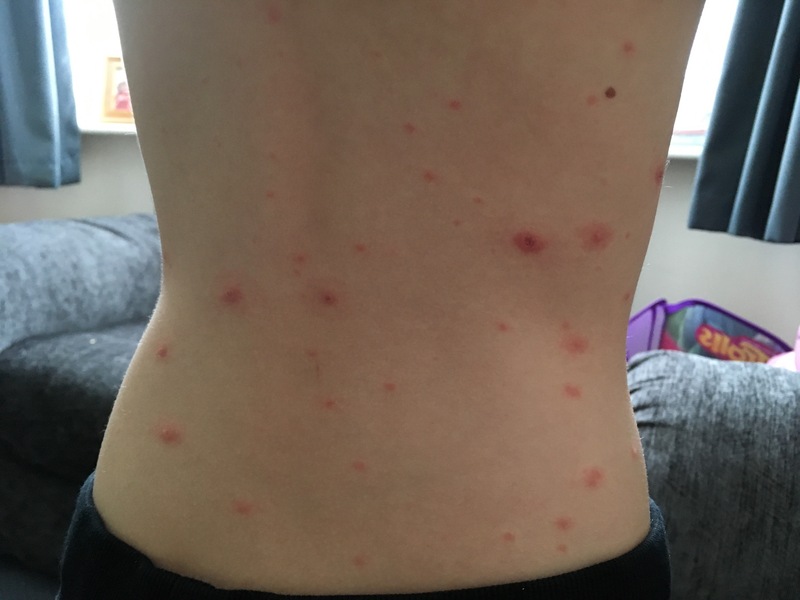 Most children will have had Chicken Pox by the time they leave Primary School, and whilst some parents will be happy to have gotten it out of the way before their kids get older, avoiding the complications that can come from getting it later in life, there’s no denying that it’s an unpleasant experience for all involved. Our first experience of Chicken Pox as parents was probably most parents worst nightmare scenario. All 4 kids (this was before littlest came along) had them within a 6 week period, we literally didn’t leave the house for almost 2 months! It started with middle daughter, then 3, who was at Nursery at the time, the majority of her classmates had it within the same 2-4 week period. Two weeks later (the incubation period for Chicken Pox) eldest son, then 7, and eldest daughter, then 5, had it. And two weeks after that, youngest son had it. He was the worst, being only 10 weeks old at the time. Seeing his tiny body covered in blisters was horrible and not an experience I wish to repeat. He’s still to this day, scarred from 2 spots that were very deep, on the side of his nose, and at the base of his spine. Even though he did manage to stay his smiley self all through the ordeal. This week, littlest was sent home from school with the first few tell-tale spots. Over the last few days these spots have multiplied and are now starting to form blisters. While well in herself, she’s itchy & feeling rather fed-up about having to stay at home and miss out on the things going on at school this week. She’s 6 so nowhere near as tiny as her brother was, but having Chicken Pox for her was always going to be an added concern due to her CVS. Chicken Pox can cause a high fever which in turn can set off a CVS episode, and the last thing anyone wants is a child, itchy and irritable with Chicken Pox, whilst also being sick and getting dehydrated due to CVS, possibly leading to a hospital admission and time on an IV. For this reason we’ve been dreading this time. Had she gotten it younger than she is now, then a hospital admission would probably have been highly likely, but thankfully she’s older and doing well in herself, she hasn’t had many CVS episodes this year so far, and is, so far, coping well with the dreaded Pox (albeit rather itchy). To help us get through this delightful time, I asked my fellow bloggers for their tips and advice on coping with Chicken Pox and have compiled a Survival Guide below. Stock up on Cream, for quick relief. Many people will recommend Calomine Lotion, but I’ve always found this to be rather messy, and prefer use Calomine Cream myself. However, other parent bloggers have their own recommendations. Maria from Suburban Mum says; “We were recommended Poxclin which is mousse. It was brilliant and really helped ease the itchiness!”. Sophie from Sophie and Lily also says; “Another vote for Poxclin mousse! It can be kept chilled in the fridge too which makes it feel extra soothing.” While Sarah from Boo, Roo and Tigger Too says; “A pharmacist I worked with suggested Eurax cream kept in the fridge when my children had chicken pox”. All worth a try when that itching strikes. Administer an Anti-histamine such as Piriton to also help ease the itching. Make sure you have plenty of Children’s Paracetamol, such as Calpol to hand, to reduce fever. But never give ibuprofen products such as Nurofen, to a child with Chicken Pox as this can cause adverse reactions. Try a bath with Porridge Oats. Sophie from Sophie and Lily also says; “I found baths with bicarbonate of soda added helped and tights filled with oats which the hot water can run through. It can make porridge though!” We’re going to give this one a try this evening. Jon from The Money Shed says; “When I had chicken pox as a child, I got it at the same time as I discovered I was allergic to red grapes. You can imagine the state I must have looked with scabs and rashes all over my body lol”. 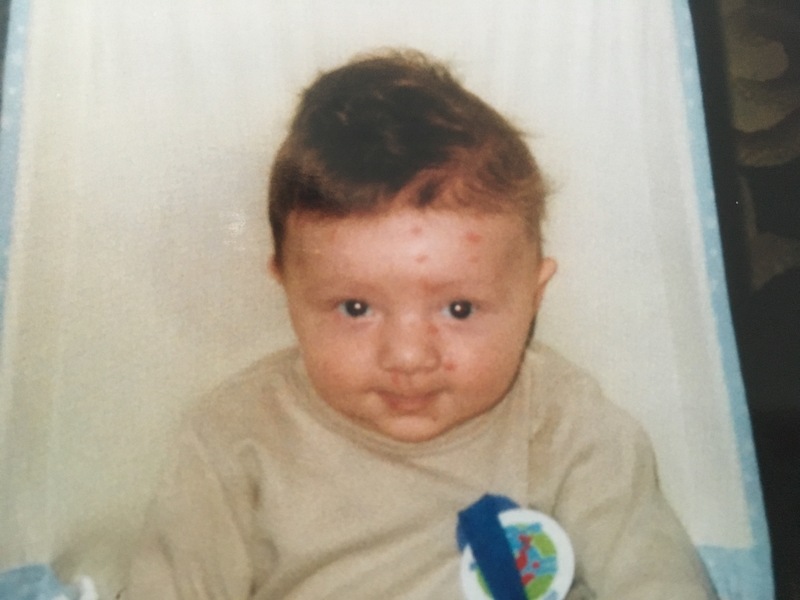 I think most of us can remember having Chicken Pox ourselves, unless you were too young to remember, and if you’ve had the misfortune of having it as an adult, I’m sure it’s a memory you’d probably rather forget! So, if like us, you’re little one is currently going through this oh-so-fun right of passage, I hope these tips will bring a little bit of help and relief from that constant itching, and help you escape the Chicken Pox quarantine with at least some of your marbles still intact. Next Post Our Big Family’s Getting A Whole Lot Bigger! My two had chicken pox at the same time and they were very poorly with it. They had high fevers and my son ended up on antibiotics due to an infection in the spots near his eye. Both my kids have had it! It’s not fun, I was in fact planning to get M vaccinated for it when he came down with it. Some really handy tips here. Mine is calamine mixed with aqueous cream, so much easier to cover spots!